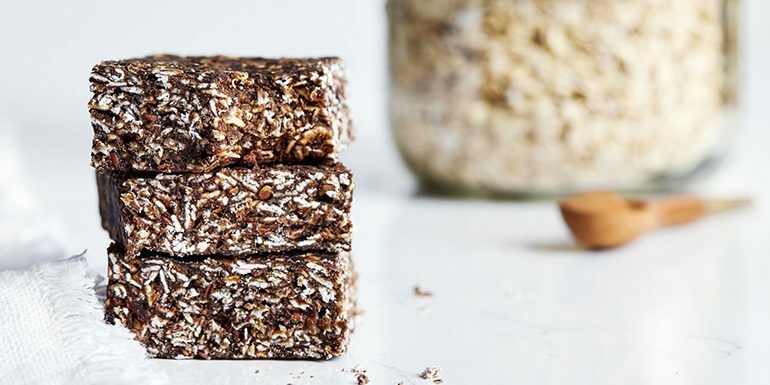 These easy No-Bake Oatmeal Protein Bars solve the persistent challenge of finding a healthy snack you can take with you anywhere. 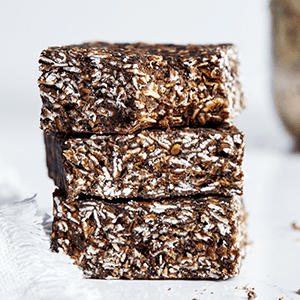 Thanks to ingredients like Chocolate Shakeology, egg white powder, and wheat germ, these Oatmeal Protein Bars have 12 grams of protein per bar. Not bad for a midday snack! In just ten minutes, you can quickly assemble the ingredients, refrigerate the bars, and then set and forget them until they’re ready to be enjoyed! Combine Shakeology, egg white powder, oats, wheat germ, flax seed, and cinnamon in a large bowl; mix well. 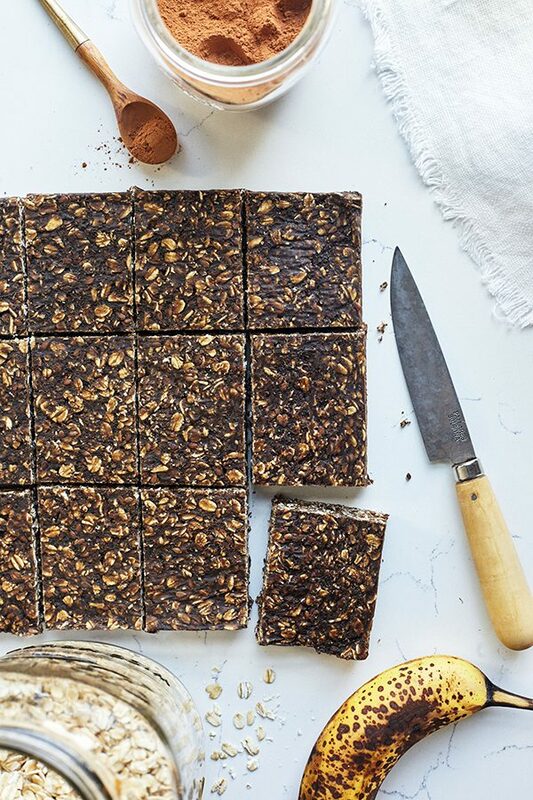 Add almond milk, honey, almond butter, and bananas; mix well with a spatula or clean hands. Place in an 8 x 8-inch pan that is lightly coated with spray. Cover with plastic wrap and press down to flatten into pan. Refrigerate for 3 hours.